For all of those wonderful readers who are waiting for Volcrian's Hunt to be released (Sept. 30th, 2013), here's an excerpt in the meantime. This book has been amazing to write. I finally get the chance to delve into Volcrian's character, explore the mysteries of the Shade, open up Crash's heart (just a teensy bit) and give Sora some balls... in a feminine way. Hehe. Below I've posted the first two chapters. Please keep in mind that I am still editing the manuscript and the chapters might change by the publication date. But for now--enjoy! Volcrian stood outside the shop and gazed at the faded blue sign. A mixture of fish oil and salt water mingled in his nose; it was a scent that brought back painfully clear memories. It seemed like only yesterday, he and his brother had stood before the very same shop. They had been mere children then, sixteen of age with the world at their feet. The year before, their father had died of a chronic illness, leaving them orphaned. The two brothers had grown unimaginably close, relying on each other to survive. But his brother had been dead now for three years. It haunted him like a sickness, plagued his thoughts, stole his sleep. He couldn't forget his brother's face—nor that of the killer. He flexed his left hand, a crippled mess of twisted fingers and curling tendons, ruined the day Etienne had died. That's why I'm here, is it not? he thought with a small smile. Yes, so many years ago, he and his brother had ran across a struggling sailor who was trying to sell fish. The sailor had begged them for money, for any sort of help. Etienne had worked a simple spell, a mixture of blood and fish eggs. He had anointed each barrel of fish, then the threshold of the door, the frames of the windows. The customers would crave the man's stock, feeling rejuvenated after eating it. They had done the job in return for a favor. A favor that Volcrian had not yet collected. The population of the docks passed by him quickly, hunched against the low clouds and steep wind. The air was heavy with moisture though it had yet to rain. Behind him, miles upon miles of moored ships stretched across the shoreline, passenger vessels to fishing boats to giant freighters. Delbar was a bustling city, full of eager merchants and cunning thieves. Yet no one approached the door. Volcrian had to wonder at that. Blood magic had a price. There was a balance to it—one couldn't just take and take. Eventually, one would have to give back. Usually the mage suffered the consequences, taking ill for days, drawing too much blood to recover, his life force drained. But Etienne had been young, their magic fierce and unfettered. Volcrian eyed the sign dubiously. Who knew what waited beyond the storefront. The Priestess rolled her eyes. They slid too far back into her head, almost full white. It took her a moment to refocus them, the eyeballs spinning lazily about, clouded by death. Volcrian watched in fascination. She had taken on a kind of beauty these past weeks, since he had killed her on the steps of the Temple of the West Wind. Her skin had turned gray and ashen, her lips swollen and bloated, a dark purple. Her hair had turned white and was beginning to thin. She had a perfectly smooth skull. She was bundled in a thick brown cloak several sizes too big, the hood shoved down over her head. His own silver hair and pointed ears drew enough looks. He didn't need a walking corpse in tow. With a shrug, Volcrian dismissed his thoughts and reached for the old, splintery door. It creaked as he opened it, protesting the movement. Inside, the store was small, cramped, full of the overpowering stench of rotten fish. Something else lingered in the air, tainting the walls, sickly sweet. The old, old spice of magic. Volcrian's nose picked it up immediately, although he knew no human could detect the smell. “Lovely,” the dead priestess muttered, her eyes wandering haphazardly around the room. “Almost as lovely as you, my dear,” Volcrian murmured back. Something shifted in the gloom of the shop, hidden amongst the crates and barrels of fish. His eyes adjusted to the light, then landed on a stooped figure in the corner. "Malcolm?" he said into the darkness, and the figure flinched as though struck. Volcrian took a step forward, peering into the shadows, ears twitching. “It is Malcolm, isn't it? Volcrian grimaced at the slimy voice. It spoke with some amount of wonder. Seeing a Wolfy was rare indeed. It was sad to think that humans, the weakest of the races, were now in control. The other races had all but perished—including his own. That odd croak answered him from the fish crates. “Oh, how could I forget,” the voice grumbled. The mage shuddered despite himself. The voice that spoke was not natural. The vocal chords were warped, twisted, struggling to pronounce. He glanced around the room again, sensing the tainted magic. Something had gone wrong with the spell. Not entirely surprising. "I've been waiting for you for the past ten years," the voice gnarred. “Etienne, isn't it? Volcrian straightened. Etienne's name was far too pure to be tainted by that voice. He was fast growing impatient with this store keeper. He strode deeper into the room, shrugging through the tendrils of magic as though they were cobwebs. “Ah, yes. The younger.” The shadowy figure spit on the floor before Volcrian's feet, a gob of yellow phlegm that looked toxic. For a moment, the mage turned livid. The atmosphere of the room, so drenched with magic, began to shift. “Show yourself,” Volcrian called. The magic squirmed, contracting. It had been years, but the spell still responded to his presence. Its power was still alive. The store keeper had no choice. Abruptly, Malcolm stepped from between the boxes, pausing in the hazy light from a window. Volcrian backed up in alarm. He blinked. His lips twisted in disgust. Before him stood something that might have been a man. Now it seemed more of a toad. Hunched double, his skin was wrinkly and loose, clinging to the bone like a wet curtain. His ears were large and dangling, his hair all but gone, and his eyes... large, blind disks in a ruined face. The man was aging almost three times as fast, his life drained by the bloodspell. Volcrian recognized the side effects of amateur magic. He and Etienne had caused much damage when they were younger, before studying their great-grandfather's journal. He wrinkled his delicate nose even more. "What do you want, Wolfy?" the voice bit out. "Name it and leave, so I'll never have to look at you again. You've ruined me!" “Gladly,” Volcrian muttered, and shared a sideways glance with the priestess. For all of her swollen, blue-tinted skin, she still held a semblance of beauty, something ethereal, vaguely human. As though the spirit could still be glimpsed inside. This man was like a slimy animal dragged from the ocean. Volcrian nodded. He had noted a large population of Dracians in the city. Another one of the magical races, living side-by-side with the oblivious humans. A giant Wolfy was exactly what he was looking for. The Wolfy race was split into two factions—the mages and the mercenaries. All of the mages were short, effeminate and silver-haired. The mercenaries were robust warriors, broad as an oak and tall as a bear. The only commonalities between them were their pointed ears and sharp teeth. The mercenaries could not use magic. In that respect, they were as useless as humans. “Do you know their destination?” he asked smoothly. A batty mapmaker? Better than nothing. Volcrian nodded thoughtfully. “Is that all?” Malcolm asked, a hint of relief in his voice. The man's eyes widened, becoming perfectly round moons. “Y-you can do that?” he murmured, his voice like paper. “Of course,” Volcrian smiled thinly. “Just... j-just a moment,” the man said, his voice quivering. He limped into the depths of the store, vanishing in the maze of fish barrels. 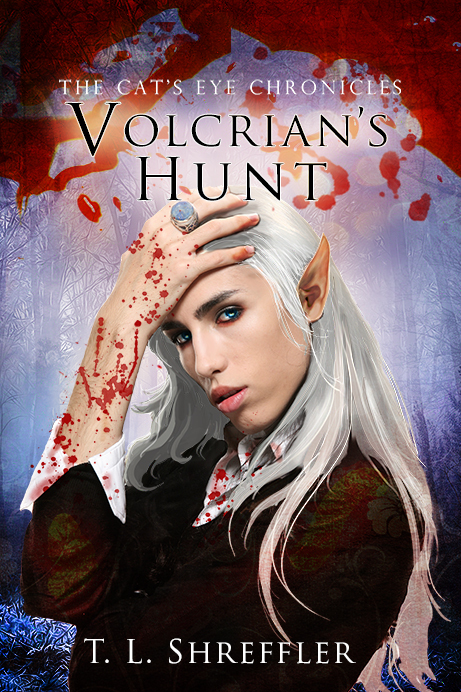 Volcrian's pointed ears twitched. He heard the sound of rummaging, the slide of a desk drawer. Malcolm didn't seem to hear. He thrust the paper into Volcrian's hand. The mage took it, grimacing at the creature's wet grip. “Well?” Malcolm stuttered. “Right,” Volcrian smiled. It was a cold look. Then he turned and walked towards the door. The corpse-woman groaned from behind him. Then he shut the door. He strode onto the docks, pausing next to the ocean. He listened to the gentle lap of the waves against the wooden posts. Behind him, he heard muffled screams from inside the store—only audible to his sensitive ears. There was no way to reverse a bloodspell. But he could make the man's suffering shorter. Perhaps end it completely. It's not as though he had lied. He wasn't killing the fish-seller—technically, his servant was doing it. And death would lift the curse. He lingered on the thought of the priestess. He had killed her only a few weeks ago, then raised the corpse. According to the spell he had used, she shouldn't be able to remember her old identity. And yet she maintained some semblance of will... part of one, at least. It wasn't supposed to be that way. She hadn't been able to disobey him yet. Just argue. Perhaps his magic wasn't as perfect as he had thought. Maybe he had made a mistake, a flaw in the timing, in the amount of blood he had used. No, he thought. He had read the spell in his great-grandfather's journal, over and over again, careful to follow each step. He thought back to when she had first greeted him on the doorsteps of the Temple, her proud nature and hard brown eyes. She hadn't mentioned her previous life of servitude to the Wind Goddess. Perhaps those Winds still protected her, retaining some sense of the woman she had been. He didn't care to dwell on it. As long as she fulfilled her purpose, he could handle a bit of complaining. Sora leaned over a bucket and tried to puke. She heaved several times, but her stomach was empty. A week on the ocean, and she still hadn't adjusted to the constant roll of the waves. Since leaving the port city of Delbar, she had puked almost every morning and twice in the afternoon. It was a wonder she hadn't died of malnutrition. She had eaten nothing but oranges for the last three days, the only food that didn't upset her stomach. She had tried everything to cure the sickness, from mint leaves and lavender to a bottle of wine. Nothing helped. Sora sat back on her bed, closing her eyes, trying to distract herself from the nausea. Thinking of her quest only made it worse. A plague was sweeping over the mainland, brought on by the bloodmage, Volcrian. Crops were rotting, people dying in the streets. As it turned out, she was the only one who could stop it. Ironic, that. Especially considering that a year ago, she had been no more than a Noble Lady, dreading her birthday party and the marriage to come. The plague was partly her own fault. Volcrian hadn't intended his spells to grow out of control. He had summoned three wraiths from the underworld, but they had brought a dark power with them. The residue of the Dark God, released back into the land. The only way to stop the plague was to kill Volcrian and return the Dark God's weapons to their rightful place—wherever that may be. The first half was easy enough. Kill the mage, stop the plague. I wouldn't be in this situation if it weren't for Crash, she thought bitterly. The assassin had kidnapped her after discovering her Cat's Eye necklace, an ancient device from the War of the Races. Sora grimaced and forced herself to stand up. I need some fresh air, she told herself firmly. She walked out of her cabin, a small room barely large enough for her bed, and into the ship's hold. A long, salt-worn hallway stretched in either direction. She chose the stern. Halfway down the hall, a group of Dracians lingered in the doorway of another cabin. They were short men, only a few inches taller than herself, with bright coppery hair and eyes like the ocean waves, a mix of green and blue. They snickered when she passed. Sora tried to ignore them. They had all sorts of names for her now: Upchuck, Oatmeal and her personal favorite, Spew. Good-for-nothing clowns, Sora thought. The Dracians were the most obnoxious race she had met so far. If they weren't teasing her in the hallways, they were cat-calling to her on deck or dumping seaweed on her head. One day, when this was all over, she would get back at them. Somehow. Sora climbed up the short stairs to the deck. The topsail flapped above her in a strong breeze. It was still overcast, the clouds roiling about like a frothing stew. They hadn't seen a day of sun since leaving Delbar. The Dracians had warned that queer storms hovered over the Lost Isles, magic that lingered from the War of the Races. It astounded her that the storms had lasted so long. The War of the Races was a legend to most on the mainland, an ancient history all but forgotten, having taken place countless centuries ago. She shivered against the cold wind. A few drops of rain struck her nose. Another storm was brewing, a few minutes away from breaking loose. Perhaps this hadn't been such a good idea, but there were only so many places one could go on a ship, even a three-masted seafaring vessel. “Sora,” she heard a voice call. She looked up, surprised to see Burn approaching her. The Wolfy towered over her by almost two feet. He usually wore a giant greatsword strapped to his back, but today he was dressed in a linen shirt and snug breeches. His gold eyes met hers and he grinned, two fangs pushing against his lower lip. “How are you?” he asked, pausing next to her. “Oh, same old,” she muttered, and grimaced as another wave swelled beneath the ship. “I'm beginning to think I don't have any,” Sora replied. Then she glanced around. “Where is everyone?” Usually the Dracians were all over the ship, clearing off the decks or manning the rigging. “Jacques called us all to the captain's quarters. I believe he wants to discuss our course,” Burn said. Sora sighed. The waves were worse downstairs, where she could hear the creaking of the timbers, the various rocks and debris that struck the thick wood. It made her shudder. She wasn't sure how reliable this vessel was. She felt terribly concerned about the storms, as though a thin sheet of paper stood between her and drowning. Another thought occurred to her. A bit of anxiety cramped her stomach. “Will Crash be there?” she asked slowly. “Of course,” Burn replied, a small frown on his face. Burn and Sora entered the room just as Jacques opened his mouth to speak. Jacques, the self-proclaimed Captain of the ship, wore in a flamboyant blue coat that was somewhat oversized. He had found it in the real captain's cabin, tossed over a chair. Although they had commandeered the ship, he had taken to wearing it. Sora had thought a few times of telling him how silly it looked, but she got the impression that he already knew. And he didn't seem to care. Sora glared at him as a round of laughter moved around the room. Then she saw the chair he offered and glared even harder. It was directly next to Crash. The brooding assassin stared stoically at the wall. She was glad when he didn't meet her eyes. A week ago, he had fought off a Kraken on the docks, saving her life once again. 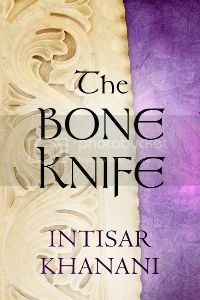 The sea dragon's bite had carried venom, and from what she had heard, the assassin was still recovering. Not that she cared. He had awakened in a thankless mood and she had stormed off, tired of his sarcasm. Now that she thought back, she couldn't quite remember why she had been so angry, but she held on to the grudge anyway. It's about principle, she told herself. He should apologize. She had sat by his side all through the night, cleaning the wound, nursing him back from the brink of death. The least he could do was thank her. She glanced sideways at him, taking in his black hair. It clung to his forehead, dampened by sweat. His face was slightly pale, his lips tight. His green eyes stayed focused on the same spot on the wall. It occurred to her, suddenly, that he might be seasick too. Burn took his place next to her, leaning against another roll of the ship. He nodded for Jacques to continue. There was a murmur of concern from the crew. "I propose we set a new course, try to find a way around the storms.” Jacques began pacing, walking up and down the front of the room. It was a broad cabin, doubling as a game room when it wasn't used for meetings. The tables were nailed to the floor, as were the chairs, given the motion of the ship. Just watching him made Sora dizzy. How could he maintain such perfect balance as the ship rocked and swayed? "This is why we have called all of you together, so we can take a vote on the best way to go. Tristan, will you do the honors and explain our first choice?" The Dracian stepped aside and a younger specimen took his place. Tristan winked at Sora, though it was lost on her. She looked down, swallowing hard, trying not to retch. The younger Dracian had been vying for her attention since they had first met. A bottle of hormones, that one, she thought blearily. He had brought her soup for a while until she had vomited on his shoes. Tristan turned to face the crew. He droned on while Sora listened to the storm outside. The clouds had amassed thicker and thicker; it looked like night outside the porthole window, the ocean turned murky gray. A flash of lightning split the sky. She heard a distant rumble. A shudder pass through her body. This was a new development. It might have rained since leaving the docks, but this storm looked far worse than the others, titanic clouds roiling above them. A few more flashes of lightning passed. Sora tried to listen to what Tristan was staying. Something about a coral reef. No one seemed worried about the storm. No one except Crash, perhaps—who was trying to hide his seasickness. Sora stole a couple quick glances at him, hoping he would puke all over the cabin floor. A smirk touched her lips. Looks like he's finally getting what he deserves, she thought smugly. Then the ship rolled and she keeled over, dry-heaving. Tristan glanced at her, then continued speaking. She could hear the Dracians mutter in the back of the room, giggling. Probably taking bets on whether or not she would vomit. There was another, louder boom, and the ship tossed more violently, tilting to one side. The crew fell silent. Everyone listened to the storm, the thrum of heavy raindrops on the deck above. Sora tried to see outside the window, but the sky was darkening quickly, obscuring the vicious ocean. The timbers creaked, groaning like a wounded animal. Sora's hands grew clammy. Something is wrong. Suddenly, the door flew open. A crew member rushed into the room, taking everyone by surprise, a wild look in his eyes. "Hit the deck!" he yelled. It felt like an avalanche hit them. Sora wasn't sure what happened. One moment she was sitting in her chair, then the room was backwards. The floor became the wall, the walls became the ceiling. She crashed to the ground, rolling downwards as the entire ship tipped—and kept tipping. A loud, terrible crack! split the air as the masts snapped. The lanterns flickered out. The room filled with scattered cries and screams. Darkness enveloped her and Sora slammed against a table. A body crushed into her from behind, knocking the wind from her lungs. Her mind whirled in panic. Then the windows shattered inward. The table blocked her from the glass, but not from the flood of water. She was struck by an icy wave. The ocean greedily forced itself into the room, clawing over the floor, consuming every inch of space. It gushed through the broken windows and doorway. Before she knew it, she was up to her waist in freezing black saltwater. It was cold enough to constrict her lungs. There was no time to think. Sora shoved the body from on top of her and struggled toward the door. More bodies bumped into her, panicked members of the crew. Burn, she thought. Laina. Crash.... Where were her companions? She was pushed back by the force of the next wave. The ship rose again, then plummeted downward, rolling and spinning. She sucked in a desperate breath, then the water slammed her up against the wall. The room was fully submerged. They were sinking. Sora forced her eyes open and almost gasped—the unconscious form of a Dracian floated in front of her, pale white again the dark water. watched in sick fascination as the unconscious form drifted away. Pieces of furniture bumped into her arms. It was as though they had already hit the bottom of the ocean, as though hundreds of years had passed and she was looking at the wreckage of a long lost ship. I have to get out of here, she thought. Strangely, it was less violent underwater. The waves tugged and pulled, but nowhere near as forcefully as the surface. She kept her eyes open and noted the other crew members fleeing the room. Some went out the door—mainly the Dracians, who were powerful swimmers. She didn't think she had the oxygen to last that long, nor the strength. It was horribly, paralyzingly cold. Suddenly, a figure shot past her and she recognized Joan. The female Dracian swam smoothly through the water, as elegant as a seal. Sora's eyes widened. As she watched, the woman took on her Dracian form, the true appearance of her race. Her skin rippled and gleamed. A layer of scales emerged, silvery-blue in color. Her feet and hands elongated, webs spreading between the digits. Joan's eyes flattened and darkened until they were two ovular black disks. The only thing remaining of her old self was her thick mane of red hair. Each of the Dracians were born with a different elemental power. It defined their magic. Some took to fire, some to air. Joan, it seemed, had taken to water. The female Dracian swam agilely upward, then slipped out one of the broken windows. 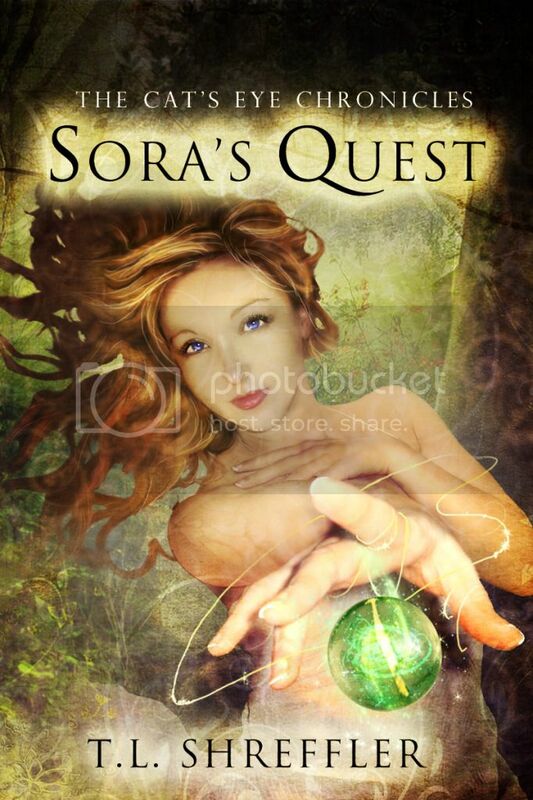 Grasping the idea, Sora started to move with painfully slow strokes towards the shattered opening. She had always thought of herself as a strong swimmer, but the tug and pull of the ocean made her movements awkward and clumsy. It was her first time swimming in salt water. Her eyes were beginning to burn. I'm going to drown, she thought, her lungs aching. No, she had to get out! On inspiration, Sora swam towards the wall and used it to launch herself at the window. Thankfully, it worked. She hooked her fingers on the sharp glass and pull herself through. The cuts stung, but she could hardly feel them. She was too focused on escaping. Sora propelled herself into the dark, open water beyond the ship and fought her way to the surface. It seemed an impossible distance, but she kept swimming. She grabbed onto floating debris from the deck, barrels and shards of the masts, using the wood to propel herself upward. Finally, right when she thought she would pass out, her head exploded above the water. She had only enough time for one short, desperate breath before a wave crashed over her head. She was sent spiraling down, but was caught in the force of a second wave and shot to the surface again. The ocean tossed her into the air before dropping her back into the water. Sora found herself on the surface for a short moment, her hair plastered on her face, the rain pounding on her head. She felt like a small ant trapped in a river. It was useless to fight against the waves. Half conscious, all Sora concentrated on was getting air and not swallowing any more water. Now she was too numb to feel the rain, or even the freezing ocean that surrounded her. Basic instincts took over. Her world became very small—a wild mass of dark, swirling water and moments of blessed air. It was a battle against the sea, and she only hoped that the Sea Goddess would show her mercy. OMG I love this series! These chapter make me want to read this now. I can't believe I have to wait until September, Ill be counting down the days!